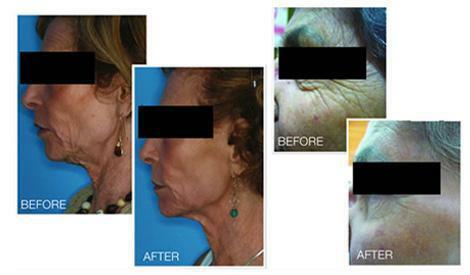 How does CO2 laser skin resurfacing actually work? The laser of the CO2 fractional skin resurfacing heats water within the surface layers of the skin, which causes the tissue of the skin and the water to turn to vapor. Each time the laser is applied to the skin, some of the outermost layers of the skin are removed in a precise and controlled way. The procedure can be applied at different depths to achieve the desired result. At Avante Laser and MediSpa, Dr. Cho assesses each clients individual situation to determine the appropriate depth needed. The skin heals over a period of time, as new layers of collagen are produced. The CO2 laser fractional skin resurfacing treatment results in an improvement in the appearance of sun damaged or acne scarred skin, chicken pox scars and wrinkles. The post treatment skin will have a healthy glow along with improved texture and tone. The CO2 laser skin fractional resurfacing treatment can significantly reduce the appearance of lines, wrinkles, and pigment, skin color, changes on the face, neck, and other parts of the body. The laser can be used in sensitive areas of the face, such as lines around the lips, eyes and even eyelids, or applied over the whole of the face. Acne and other types of scars, such as chicken pox or cuts, and certain stretch marks can also be improved. If you would like more information on CO2 laser fractional skin resurfacing or to schedule an appointment call our Houston office at 713.953.1139 or The Woodlands office at 281-419-0080 today to find out how this amazing procedure can help you.